How Does Google Hummingbird Impact Me As A Writer? Are you still trying to figure out Google Hummingbird? Would you like to stay ahead of the blogging game? I want to start off today by thanking everyone who has contributed to the article, Are You Frustrated With Facebook. We’ve had so many wonderful responses. You can expect the follow-up article on November 19th, 2013. If you haven’t yet had a chance to respond to the article, we would love to hear about your experience with Facebook and if you are frustrated or not, the more voices, the better data. 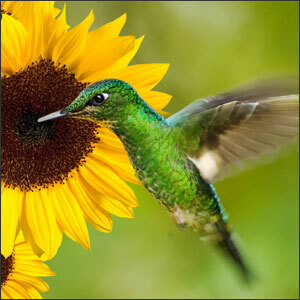 Today, we are tackling a different sort of beast, Google Hummingbird. My editor, Robin Strohmaier, has been trying to teach me a thing or two about Google’s new algorithm called “Hummingbird.” As my eyes start to glaze over, I quickly take a sip of coffee and focus in again, because I know that this impacts me as a writer. That Google’s new algorithm impacts me as a writer. I was already trying to focus on what Hummingbird is looking for. While Robin and I have always striven to provide quality content for our readers, it has never been more important. Since this is something that I’m learning about and have been striving to practice in my other blogs, I decided it was time to share with you. On September 26, 2013, Google announced the roll out of a completely new search algorithm. This new algorithm is nicknamed “Hummingbird” because it provides search results with speed and precision. It is a system that sorts through the information it has based off of a question you ask it. The search results are tailored to provide the answer to the question by looking at each word in the question is taken into account rather then one keyword or phrase. Google is calling it “conversational search”, meaning that the search engine giant is now looking for more comprehensive answers, rather than keywords or keyword phrases. Google wants to provide their users with the exact information that they are looking for. Providing these types of articles will increase our chances of being well-ranked on Google. Our focus as writers needs to be on “user intent”. User intent is the ability to anticipate what readers everywhere are searching for. It’s about knowing what your future customers want to know and already having the answers for them. This is where we as writers come in, because we want to frame our articles to answer the questions that our potential customers are asking. It starts with the title and continues on with our rich content. It isn’t enough to get the question right. You also have to answer that question in-depth. Google’s Hummingbird is still very new and we really haven’t even seen the full potential of it. What we do know is that Google wants to be the best at providing their users with the exact information they are searching for and well, I want to do that, too. As a writer, I like this concept of putting our customers first and providing their answers before they ask the questions. In my opinion, that’s simply good business. As writers, our goal need to continue to provide what Google has been looking for: original, high-quality content. While I have only touched on the impact of Google’s Hummingbird, Robin and I will be providing more information about the new bird in town in the weeks to come. If you have any specific questions, please feel free to ask. What Do You Think? How do you feel about Google’s Hummingbird? Is creating user intended content something you have already been working on? Please let me know what you think by leaving a comment below. Have a wonderful weekend everyone and I look forward to reading your comments. Great article. Hope everyone who is a writer reads this. Even relevant for bloggers like me, not necessarilly in social media to know. Thank you so much, you’ve made my day! I’m so glad enjoyed the article and found it helpful. I look forward to reading about this more, as it impacts us greatly. Well, thank you for this great information. I will have to read more about this for sure. I’m so glad you found the article helpful. Don’t worry, there are more articles coming in the future. Thanks for sharing. I love hummingbirds, so I can only see this as being a good thing. I look forward to your updates so I can stay informed of all the latest information. I’m with you, I love hummingbirds and so far, I’m loving Google’s Hummingbird. Thanks for commenting. Thank you for sharing. I love your passion for bringing your customers the “best of the best”. It you are already thinking that way, Google’s Hummingbird will be easy for you. Its amazing how google changes things all the time.. I know nothing about hummingbird but my partner does here at work.. Thank goodness! It does change pretty often and it’s always good to have knowledgable partners. Thanks for sharing. OMGoodness, I must be living under a rock because I hadn’t heard of Google Hummingbird. Looking forward to your posts about it. Thanks for the heads up! Don’t worry, Robin and I have you covered. 🙂 I’m glad you enjoyed the article and found it useful. Thank you for commenting. Wow – this was interesting. I’ve not heard of Google’s Hummingbird before now. Your point that we should ‘frame our articles to answer the questions that our potential customers are asking’ only makes sense though. I’m glad I read this. I’m looking forward to learning more about ‘the new bird in town’. I actually like how Google is trying to eliminate “spammy” types of results when we search. Writing well constructed posts, relevant to the topic you are searching for is always a great thing. Loving the bird! I’m with you, I really like the Hummingbird. Thank you for sharing. Interesting article, I’ve not heard of hummingbird before. Writing good posts with a clear message is always best but will be interesting to see what tweaks may be needed. I agree, I’m excited to see how the Hummingbird will look 3 months from now, 6 months from now or even a year. Thank you so much for sharing. This is my first exposure to Google’s new Hummingbird so haven’t really formed an opinion yet. I like the idea of conversational searches. How will they convert from keywords to conversations? It will be interesting and I can see how as bloggers we will need to stay educated about this topic. Thanks for sharing. There is still a lot to learn about the Hummingbird. I’m glad you enjoyed the article. 🙂 Thank you for commenting. I think in general all Google updates are intended to help find the right content when people are looking for it. And this is what us as writers should be striving for too. Thanks for bringing this to my attention, I hadn’t heard of hummingbird but it sounds like I should. If it means we can focus less on keywords and more on good copy then I’m pleased. I’ve always written from the heart all about France and my area in particular hoping it’s what visitors here would like to know. Hopefully hummingbird will like my efforts!!! Anyway, I really look forward to learning more about it from you soon. Goodness – hadn’t heard about hummingbird. Thanks for sharing – I will be anxiously awaiting updates. For now, I’m reassured that my goal when I blog is to answer my readers question – and provide comprehensive posts on time management strategies .. . so hopefully I’m on the right track with “the new bird in town”. It sounds like you are on the right track. Thank you so much for sharing. Never heard of Hummingbird before! How will it affect bloggers like me, the ones with personal blogs in which we don’t give advice and don’t seek a profit? That’s a great question. Google’s Hummingbird will impact you by impacting the amount people you reach with your message. Thank you for your comment. Very informative post! Google Hummingbird’s goal must be good as it targets on speed and precision. Would this however mean added effort on the part of the writers as they should try to anticipate what the readers are searching for? I’m so glad you found this article to be informative. Google’s new Hummingbird does mean writers will benefit from answering their readers questions and that could mean some added effort. It seems to me though, that the added effort will be well worth it. Thanks for the question. No problem! I’m glad you enjoyed the article. Christine thanks for this info. I have heard of Hummingbird but because SEO has changed so much in the last couple of years I don’t pay as much attention to it as I did. I think this is mainly because I feel that if you write relevant, informative quality content then you won’t go far wrong. I agree, writing relevant, informative and quality content is always a good bet! Thanks for the comment.